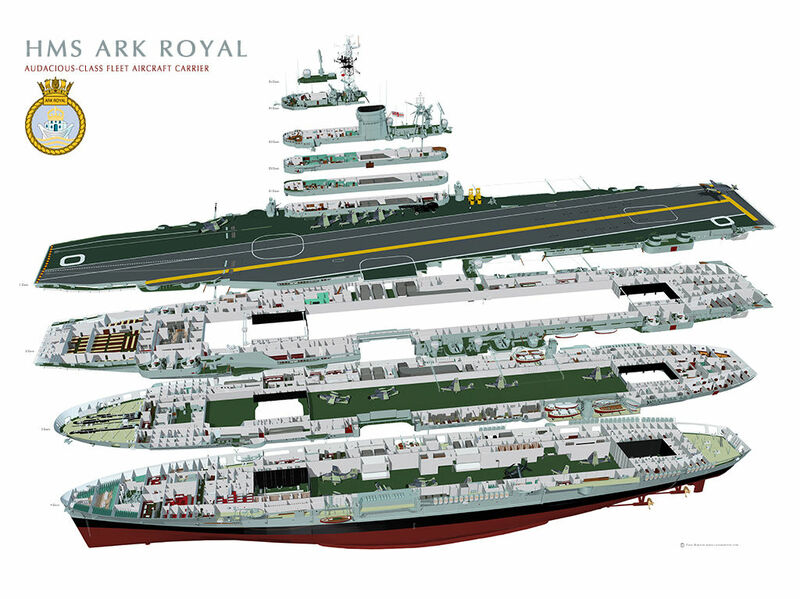 HMS Ark Royal (R09) was a fleet carrier of the Audacious class, built by Cammell Laird. She was launched on the 3 March 1950 and commissioned on the 25 February 1955. Between 1967 and 1970, she was modified to operate the heavier Phantom F-4K. Pictured here during her second commission. At this time her length was 845 feet, with a standard displacement of 43,000 tons and a speed of 30 knots. Although it was hoped to preserve her, she eventually went for scrap in 1980.